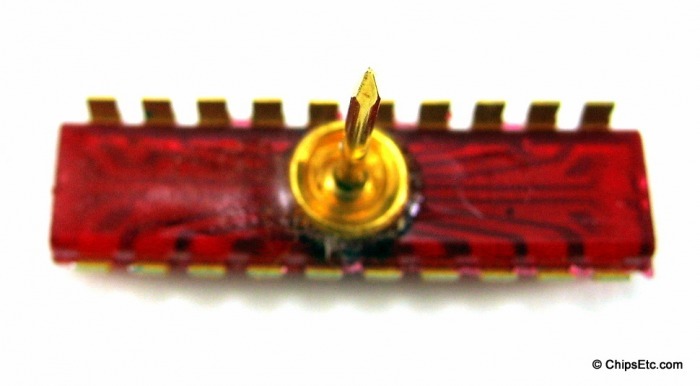 Specialty: Developing electronic products for consumer & business including telecommunications, test equipment, computers, printers & peripherals, HP Computers - desktop / laptop & 3D printers. 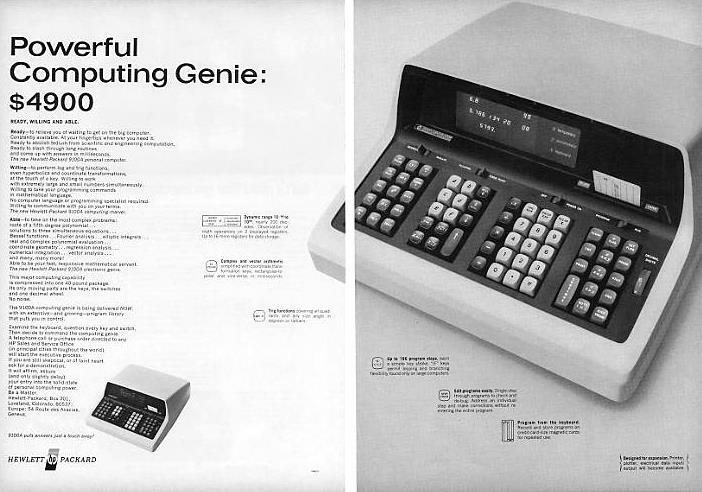 Introduced in 1982, HP's first commercial 32-bit desktop computer was the HP 9000/500 Series Model 9020. 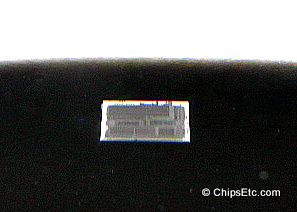 It was based on the FOCUS chip which operated at 18 MHz. 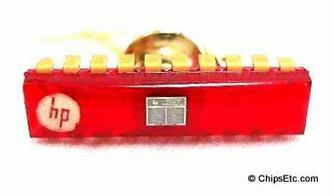 The FOCUS Microprocessor was a single chip, 32-bit microprocessor. 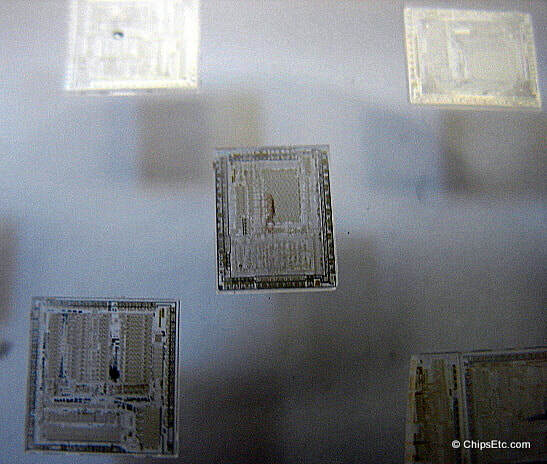 It was manufactured using NMOS-III technology (used two tungsten interconnect layers for high density/reliability/performance) & was VLSI technology manufactured using 1.5 micron technology, contained 450k transistors. 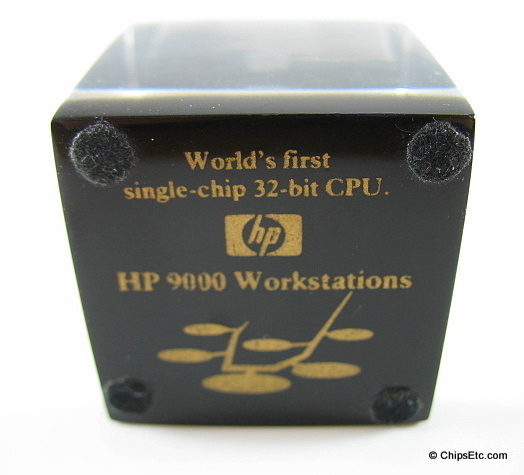 The 9000/500 series HP desktop computers were so fast that they were bound by restrictions on US government export. 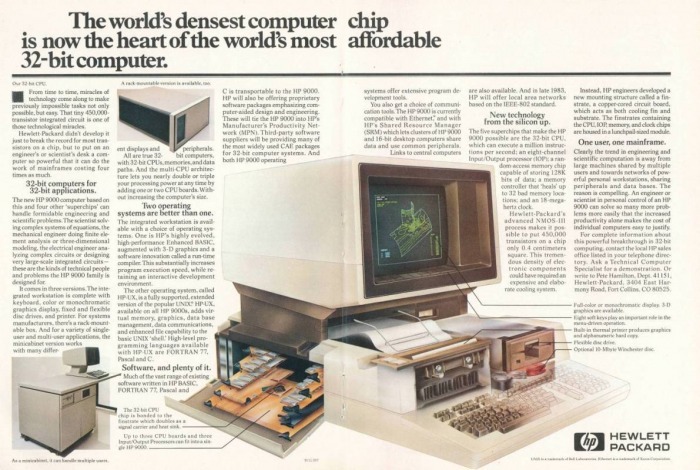 Systems sold from $28-65k depending on options and were quite expensive for the time. The native operating system for almost all HP 9000 systems was HP-UX, a derivative of Unix. Clear Lucite Paperweight with an actual HP FOCUS 32-bit Processor inside and has a black base. 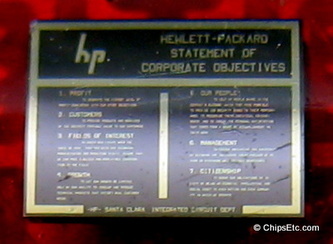 This Lucite paperweight features a temperature strip, pen holder, and embedded inside are 23 various Hewlett Packard chips. 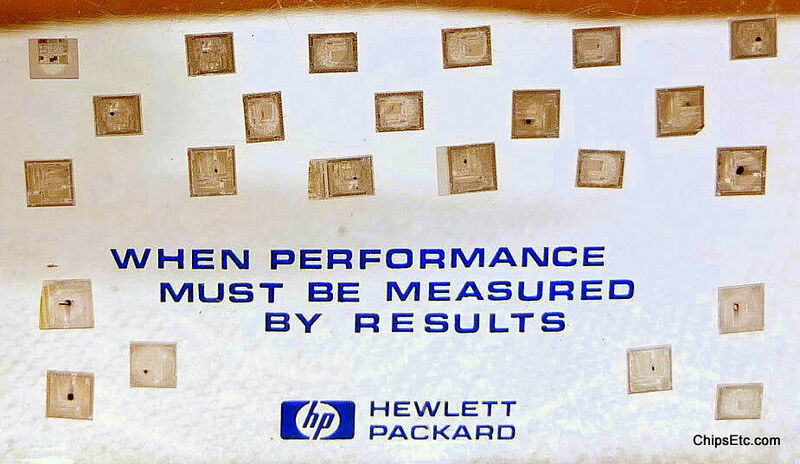 Reads: "When performance must be measured by results, Hewlett Packard". 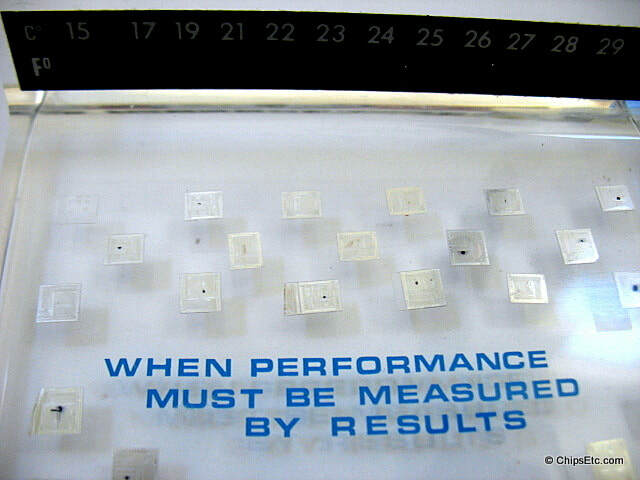 Measures 4-1/4" x 3-7/8" x 4" high. 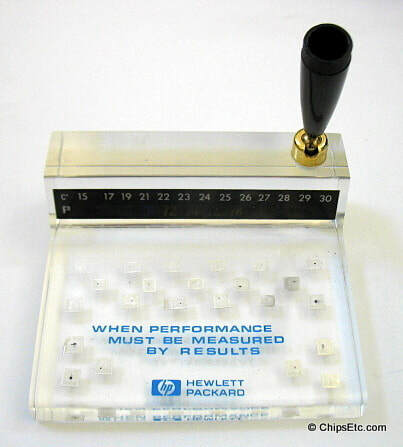 Weighs 9 oz. 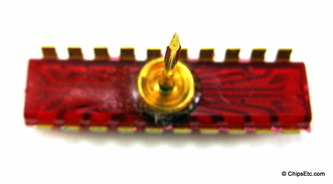 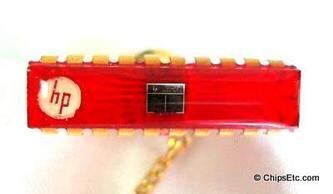 This Clear/Red tint acrylic Integrated Circuit Tie Tack resembles a 20-lead DIP package with framework embedded inside and gold legs. 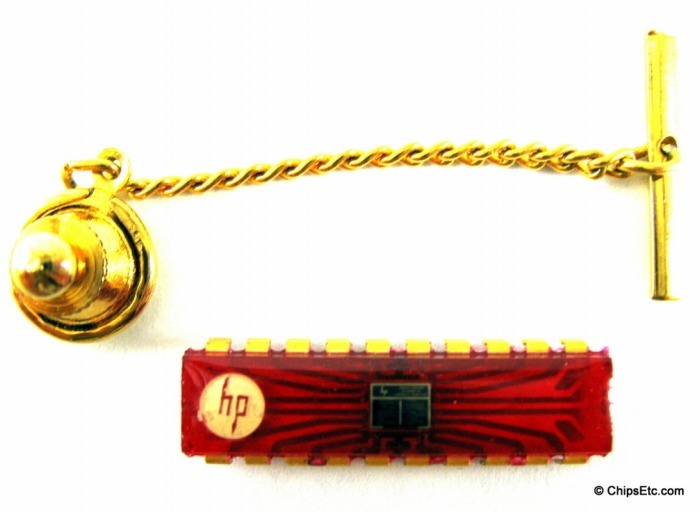 This rare item has the HP logo and an actual HP custom silicon chip embedded inside which in micro-lettering is a Statement of HP's seven Corporate Objectives (Profit, Customers, Fields of Interest, Growth, Our People, Management & Citizenship.). 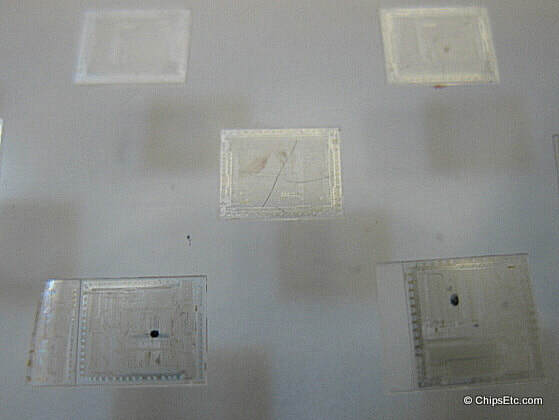 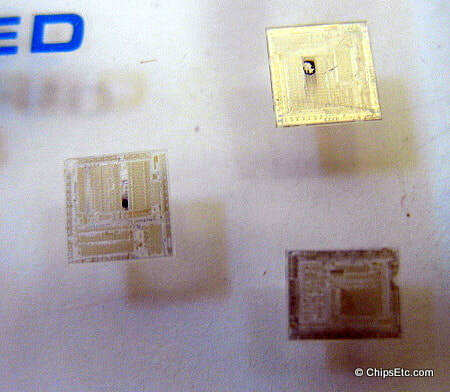 At the bottom of the chip it states "Santa Clara - Integrated Circuit Dept.". 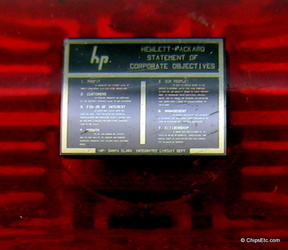 The HP Corporate Objectives were written back in 1957 at the company's very first off-site meeting of Senior Managers and it's management style has been know as "The HP Way" since. 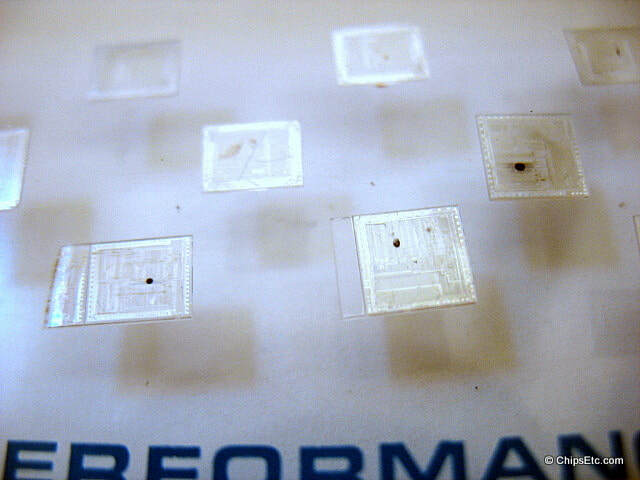 Many of the IC packages in the beginning of 1970s were manufactured in plastic or ceramic DIP with gold leads. 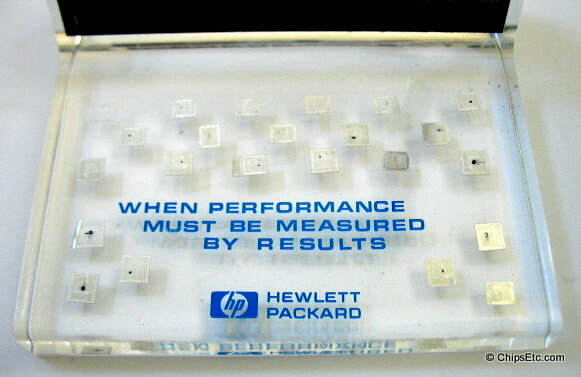 Mostek became the major supplier of integrated circuits for HP's scientific calculators. 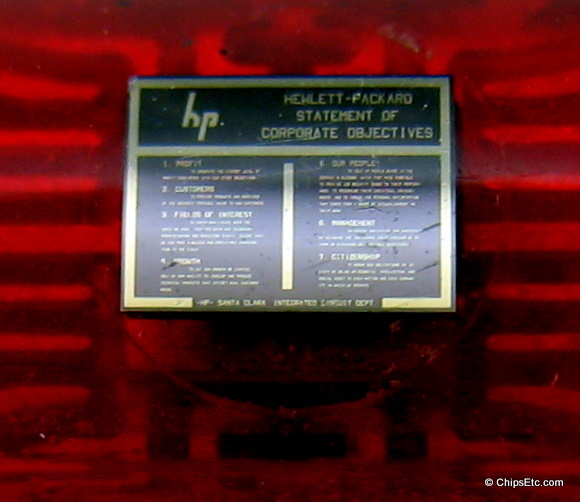 Hewlett-Packard soon became Mostek's largest customer. 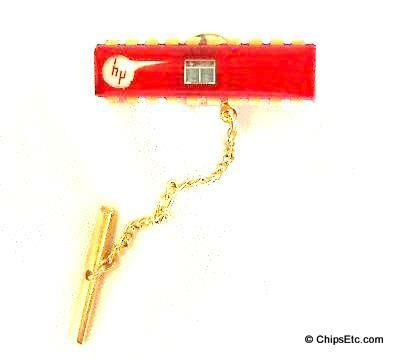 HP designed LSI Circuits, micro-programmed CPU & LSI ROM. 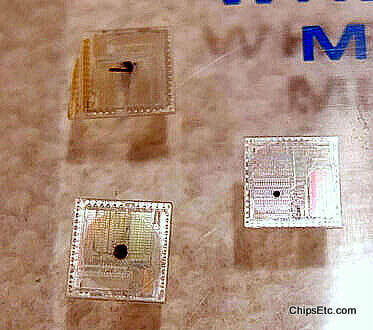 Mostek would then manufacture the chips for them. 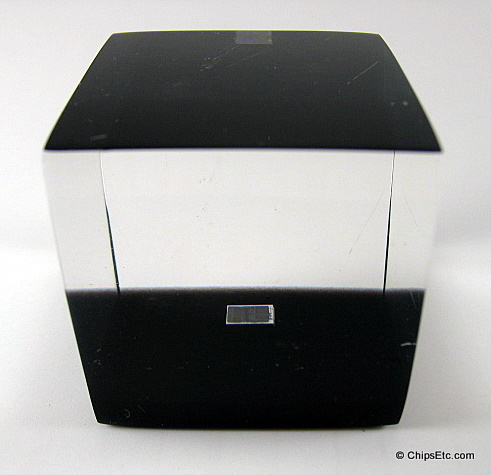 Measures 1" long x 1/4" deep x 3/16" tall. 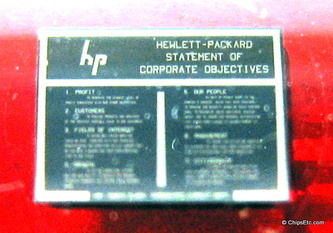 PA-RISC is an Instruction Set Architecture (ISA) that Hewlett- Packard developed for High-End desktop computers. 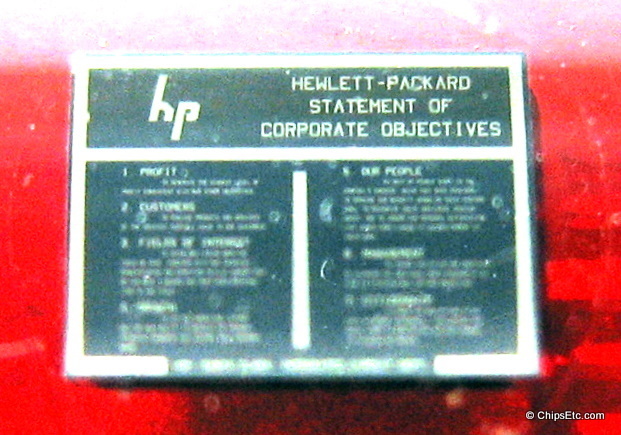 It is a Precision Architecture - Reduced Instruction Set Computer (PA-RISC) Architecture, introduced in 1986 for the HP 9000/Model 840 and HP 3000/Series 930 32-bit computers. 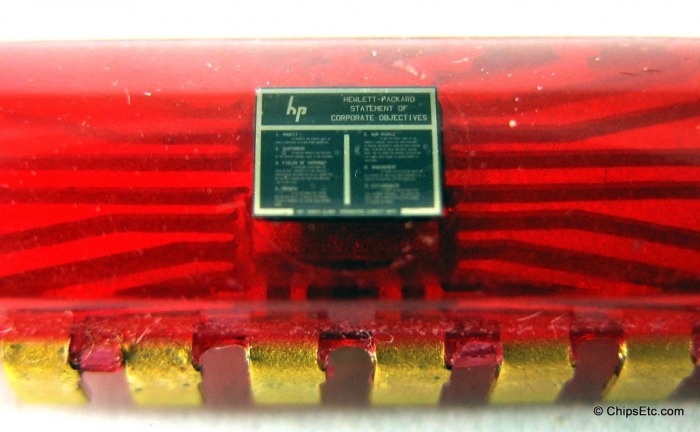 PA-RISC was succeeded by the Intel Itanium (originally known as the IA-64) ISA jointly developed by HP and Intel. 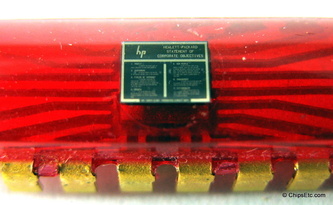 HP stopped selling PA-RISC-based HP 9000 systems at the end of 2008. 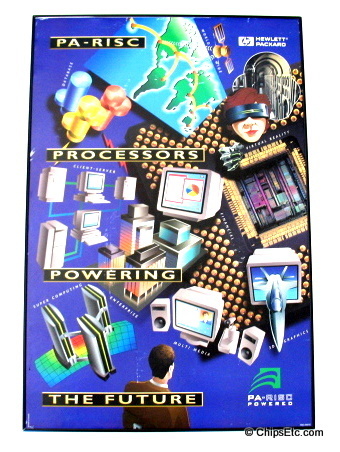 This is a Framed, Full-color HP advertising poster featuring artwork of the PA-RISC processor and other images for promoting the Processor's use in various technologies such as Virtual Reality, Satellite and Communications Systems, Business desktop Computing, and Military Fighter Aircraft. 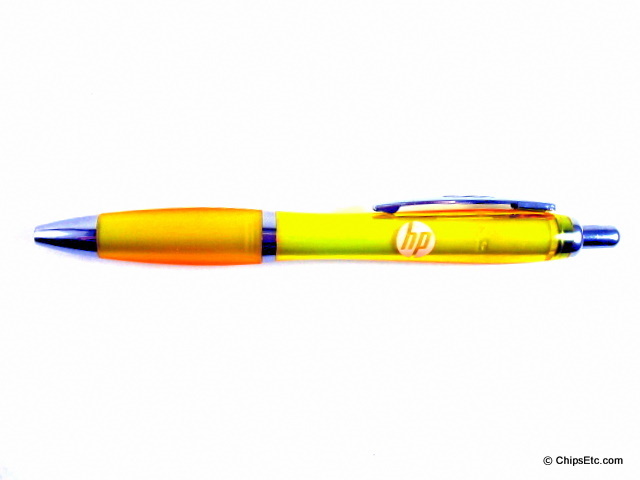 Bright yellow pen with the HP company logo in white.